Russian takeover of Crimea and consequent aggression in eastern Ukraine have changed regional security perceptions in Europe and worldwide. Eastern European members of NATO receive constant assurances from their Western allies about the security of NATO’s eastern borders. Meanwhile, neutral states, like Moldova that lack similar guarantees, face severe defense vulnerabilities, and, therefore, have to rethink their national security strategies. Republic of Moldova has employed a policy of neutrality since the early 90’s, but it has been ignored by the Russian Federation ever since. Moscow still keeps a military presence in Moldova despite the sovereign will of Chisinau. In the new geopolitical context, Moldova is forced to review its national security options. Thus, we propose a comparative analysis of three alternatives to the current status quos: a) joining NATO; b) joining CSTO; c) setting up a new regional defense framework. We suggest the following set of criteria: a) degree of security; b) cost; c) technical and administrative feasibility; and d) social and political feasibility. Analysis shows that the third option is the most feasible and has the best chance of ensuring a higher degree of security for Moldova. Therefore, we recommend that Moldovan Parliament and Government further examine and implement the third option. Moldova’s neutrality status was imposed by the circumstances at the time of the USSR collapse. Russia, being the legal follower of the Soviet Union, could not come to terms with the new realities and tried to maintain the former soviet republics in its sphere of influence. As soon as Moldova became independent, a separatist movement erupted in Transnistria, where Russian troops are still stationed, despite Kremlin’s international commitments for withdrawal. Thus, Moldova’s neutrality not only failed to compel Russia to evacuate its military assets, but also increased Moldova’s vulnerability, making the country an easy target to internal and external threats. That is why the current neutrality status is ineffective in providing security. Given Moldova’s limited economic potential, the country struggles to maintain its defense capabilities. It only allocates 0.3% of its GDP for military purposes, which amounts to about 25 million dollars per year. Furthermore, Moldova presents limited interest to the West. Its strategic and economic importance is negligible. To make things worse, Moldova is highly dependent on Russian energy supplies, export and labor markets. Russian media control a significant share of Moldova’s informational space. Finally, Kremlin has been instrumental in using Russian speaking minorities in Moldova to advocate interest that often go against the will of the majority of the local population. Yet, in spite of all these difficulties, Moldova strives to join the European Union and has already been granted a visa free regime with the EU. However, one should not forget that EU continues to be a military dwarf, despite being an economic giant. Thus, even if Moldova were to join the EU in the foreseeable future, its security dilemma would still have to be addressed. Most local and European experts say that, in fact, Moldova will first have to solve its security problems before it can possibly join the European family of nations. a) Degree of security – how effective the option is in providing security. b) Cost – how expensive each of these options is compared to each other. d) Social and political feasibility – extent to which voters and officials would support the option. Joining the North Atlantic Treaty Organization is, no doubt, a very effective alternative as it would guarantee the higher level of security. It provides the highest degree of security, but this option is extremely difficult, as long as most voters in Moldova still perceive NATO through the lenses of Soviet and Russian propaganda and only about 30% support joining NATO. In addition, NATO has a strict set of accession criteria, and requires unanimous consent of all member states, which makes this option technically and administratively difficult. In order for NATO accession to become a feasible option, Moldova needs to minimize its dependence on Russia, boost its economic potential in order to afford to spend at least 2% of GDP on defense. It is, therefore, clear that joining NATO is not a feasible option for the short and medium term, due in part to the large social and, thus, political opposition to this path. Joining the Russian version of NATO, the Collective Security Treaty Organization, is a relatively simple undertaking as there are no strict accession criteria or large costs, but the security it provides is questionable to say the least. The notion of a Russian security umbrella is, obviously, highly contested; given that Russian is the sole cause of many security challenges. The majority of the population would, therefore, reject this option right away, but the Russian speaking minority may certainly welcome it. Hence, this option remains theoretically on the table as long as there are political forces that might consider this alternative if they were to accede to power. Also, should the pro western parties renounce neutrality and embark on a NATO membership track, pro Russian parties will, most certainly, push for the CSTO alternative. In order to lay out all the major options and avoid accusations of bias, we need to address this option as well. In light of major shortcomings of the first two options, a less ambitious alternative becomes all the more feasible. A new regional defense cooperation framework, similar to NORDEFCO (Nordic Defense Cooperation) seems a reasonable compromise. Neutral states, such as Sweden and Finland, while strengthening their cooperation with NATO, are also enhancing regional defense cooperation. NORDEFCO was founded in 2009 by Denmark, Finland, Iceland, Norway and Sweden in order to strengthen defense capabilities and explore joint synergies of member states. This mechanism is a vivid example of how relatively small military powers, also challenged by Russia, can pool their resources together in the face of common threats. Similarly, countries such as Ukraine, Moldova, Georgia, Azerbaijan, as well as Poland, Romania and others that feel threatened by Russia could set up a regional mechanism of defense cooperation to address common challenges to national and regional security. Financial, administrative and technical costs are considerably less that in the case of joining NATO, as there would be no strict accession criteria, while, social and political resistance would be minor because the commitment would only go as far as the voters and politicians themselves decide. Hence, building a new security platform appears to be the only reasonable compromise that would provide a higher level of security with acceptable internal and external costs. 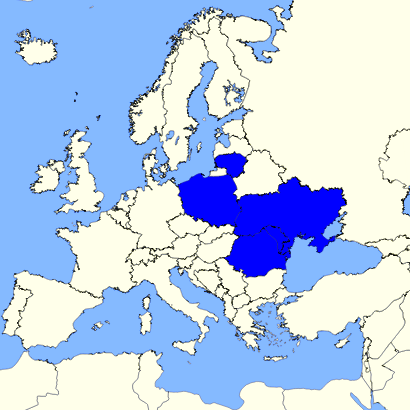 Potential members of a new regional defense cooperation structure. Moldovan Parliament and Government work with partners in the region (Ukraine, Georgia, Azerbaijan, Romania, Poland, etc.) towards setting up a new regional defense cooperation structure. The country’s leadership should encourage the expert community and civil society to engage partners in the region to further develop the proposal and build public support across the area. Parliament and Government should seek international technical assistance and best practices based on NORDEFCO experience. Note: This is a concise version of a larger policy brief I wrote for the Foreign Policy Association of Moldova. You can find the entire brief here, though only in Romanian for now. This entry was posted in Moldova, National security, Ukraine and tagged CSTO, Moldova's national security, Moldova’s defense vulnerability, NATO, NORDEFCO, regional defense cooperation, Russian invasion of Crimea, Transnistria. Bookmark the permalink.